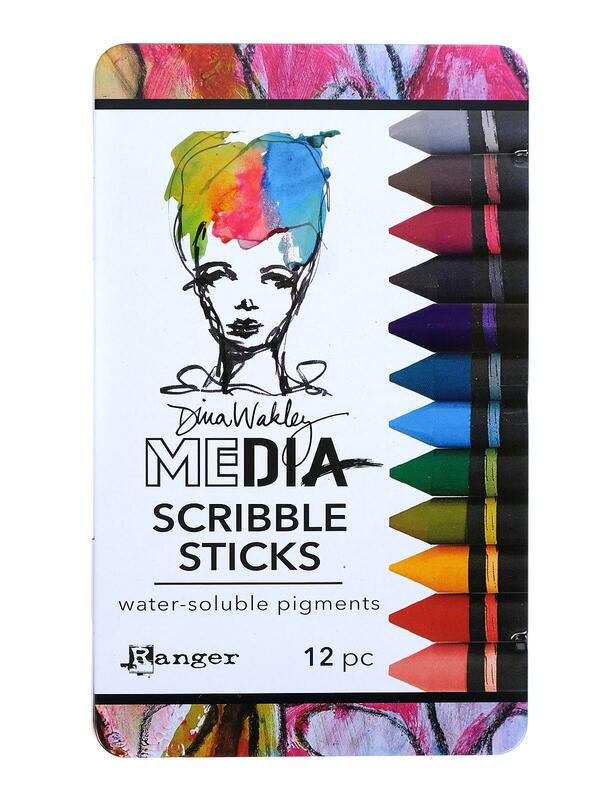 Scribble Sticks by Dina Wakely, a Ranger Signature artist, are versatile, high quality pigment sticks that color like a crayon and are water-soluble like a watercolor pencil. Create backgrounds and blend color to a transparent shade using water or create bold, opaque designs, scribbles and marks on top of Dina Wakley Acrylic Paints and other mediums. All colors coordinate with the Dina Wakley Media color palette. 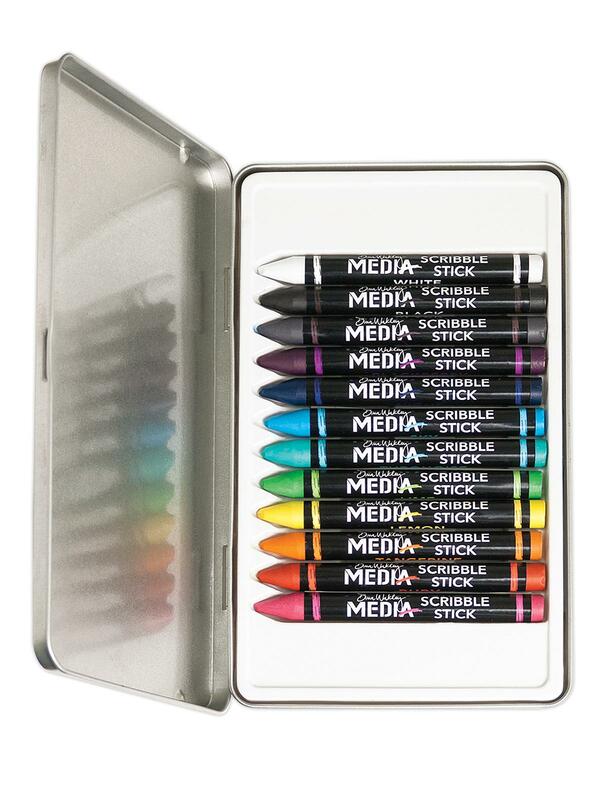 Available in 2 different sets of 12 in metal tins. Set 1 colors are: magenta, ruby, tangerine, lemon, lime, turquoise, sky, night, blackberry, umber, black and white. Set 2 colors are: blushing, sedona, cheddar, olive, evergreen, peacock, ocean, lapis, marine, fuchsia, eggplant and elephant.